After our visit to Huaca Pucllana, we had to seek refuge from the excruciating heat in a café nearby, the Cafeladeria 4D. We resisted sweet temptations on display but ended up with one Inca cola and one Cusquena beer. The Cafeladeria 4D is a chain of cafés in Lima and one was located a few blocks away from Huaca Pucllana. 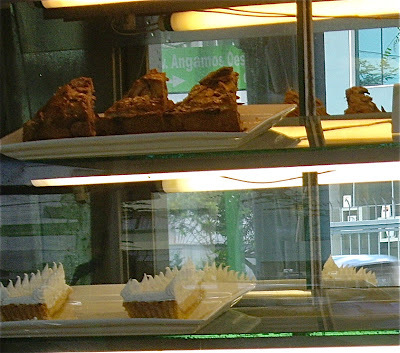 On display at Cafeladeria 4D were pie de limon - similar to a lemon meringue pie, something looking like a chocolate gateau. 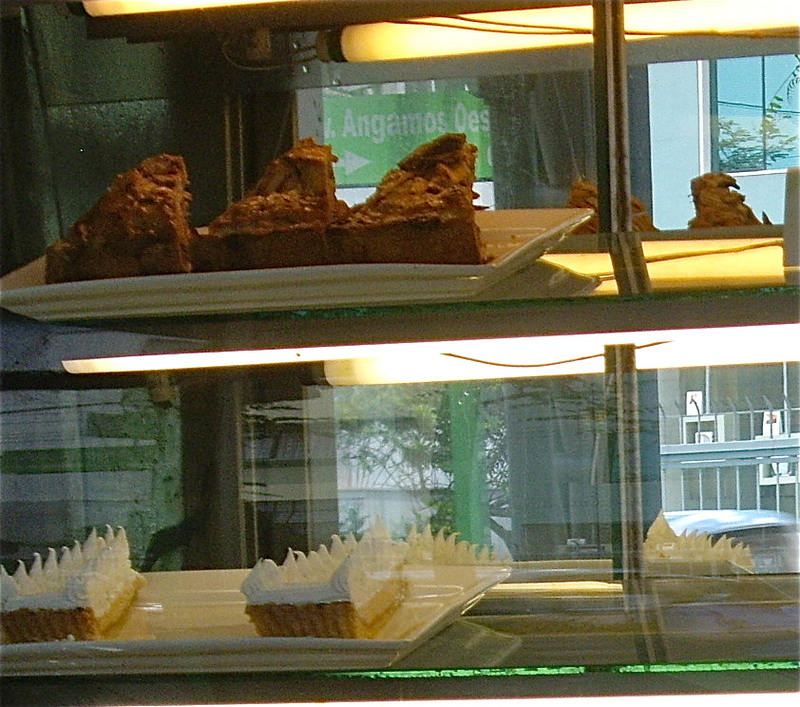 On the shelf below there were servings of tres leches, a sponge cake soaked in three kinds of milk. We were tempted, but resisted due to two reasons. The first was the fact that it was hot, and a beer or cold soft drink felt more appropriate. Secondly, cream cakes may easily contain bacteria or virus that may effect those not accustomed to the local bacterial flora. So we sat down and relaxed in the shade and enjoyed the air conditioning and observing local life. One old-fashioned dressed man was reading a paper, an elderly woman entered the Cafeladeria 4D accompanied by an aide on a small trip out of her appartment. A fascinating glimpse into ordinary life in the Peruvian capital.